When I got the invitation for Freedom Event early December last of 2014, I knew it was one of those occasion that I can’t just miss. I found myself looking forward for it like how I much I look forward for the New Year to start. The whole story about my experience during the said event was published weeks ago and if you want to check then here is the link: MFT Group’s Freedom Event Experience. As promised today is the Part 2 where I will be focusing on the book more and give you a quick tour. 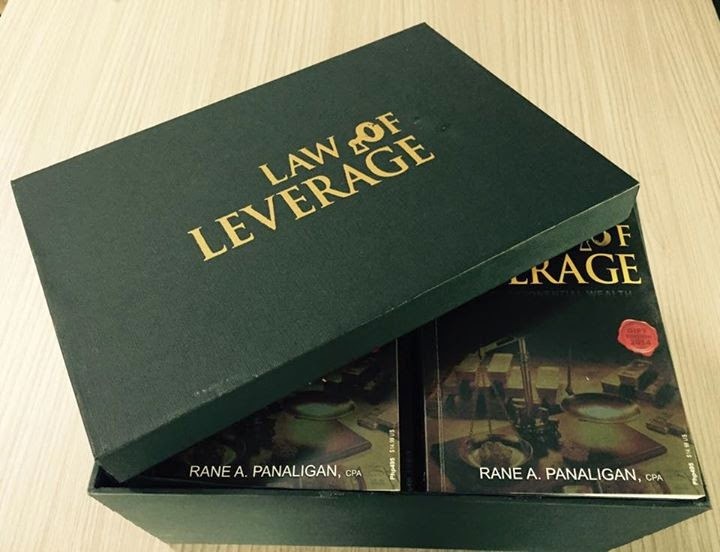 The Freedom Event was held for a nice media launching of the book Law of Leverage written by the one and only Mr. Rane Panaligan. It is dubbed as the book that changed a thousand lives and I was very eager to read the content that I actually finished in one seating. Once you got hold of the book, you’ll never want to put it down. You just want to take all the financial lessons page by page. The book, Law of Leverage, just have one goal and that is to ignite your inner leverage. Ms. Mica Tan, young CEO of MFT Group and the author, Mr. Rane Panaligan. I love that the book is small enough to be carried anywhere and anytime. This could to any bag that you own. It is printed back to back and in a white neat paper. There are illustrations to introduce a chapter or a lesson as well as the short stories that I’d love to call anecdotes that the author have supplied. 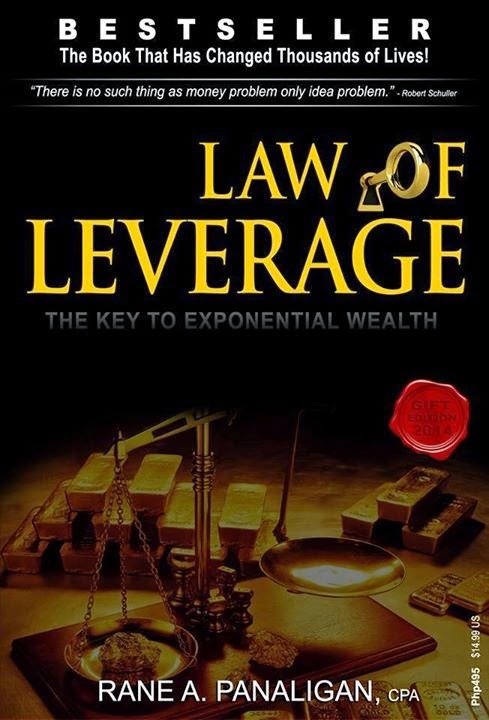 At the back is short overview of the book, benefits that it could give as well as further information on how to connect with the Law of Leverage community. The book is divided into chapters and as per the event Sir Rane revealed that it is more than financial knowledge. The book is centered to uplift the areas of our life namely the Heart, the Mind, the Soul and the Body. Gives you the best overview on what you need to learn and to realize first and foremost as you make your way to financial freedom. It has lessons about The Rat Race, Economic Trend, Definition of Material Wealth and more!!! The first chapter opens up your mind to the realities of life and is such a great appetizer for you to read more. If you are new to the word Leverage then this chapter will give you the ultimate guide. From the definition of leverage, history of leverage up to the different concepts involved is simply explained in this section of the book. I actually never understood network marketing before but this book explains the system briefly and gives you idea of the power of leverage. The chapter is real close to my heart for it talks about certain characteristics that one must possess in order to really achieve total success in life. I haven’t paid that much attention on these topics but reading this chapter is such a good reminder. Some of the lessons involved are Be an Empty Cup, Discover Your Genius, The Frog Story and more. This chapter teaches you how to be someone who sees great value on things and people around them. Though this is one of the shortest chapter in the books (since most chapters involved 15 or more lessons each) it still gives important key points in your financial life. You’ll learn lessons such as The Law of the Harvest, What Are Your Aces, The Five Step Empowerment and more! A classic lesson that further explained and given attention by the great author in this chapter. This enhances your knowledge on how to have big objectives in life and achieve each. It teaches that time is the ultimate ruler of success in terms of finances. The shortest chapter in the book but still empower one to become his own leader. The chapter is good because it really teaches you to have leadership skills that will help you big time. I love The True Leader, The Network General and The Networkerpreneur’s Prayer. There is no much better ending than what the author in this book. Chapter 7 is so good for it aligns all the lessons and give you a better and more focused perspective in life. It prepares you to act in your financial freedom. Lessons such as What Matters Most, The Accounting of Life and Life is What We Make It are my favorites. Since the book is filled with short stories/anecdotes, it became an enjoyable experience reading the book. I admire the author, Sir Rane for how well he crafted the book that all the “foreign” financial terms became easy to understand. It gives your bite size information that is easy to chew yet heavy in the stomach. A flip on the page is a punch thrown in yourself as part of awareness on what financial freedom is all about. I believe in the book and in how this could be a powerful tool to level up on your finances. It will open your mind on new possibilities and better opportunities. I find this a mid-advance book as it won’t really give you the basics of finances but rather how you can level up your finances. Please do finish the book as it is type of the book that resembles a complete meal. The first chapter is the great appetizer that makes you stick to the book, the succeeding chapters are the main meal which are juicy and meaty while towards the ending is the dessert that will just make you crave for more. This book is highly recommended for those who have big goals for their money and wants to know how to use their money well. It can answer most of your questions about where to invest and how to smartly grow your income. The book is well-balanced and just pure genius. 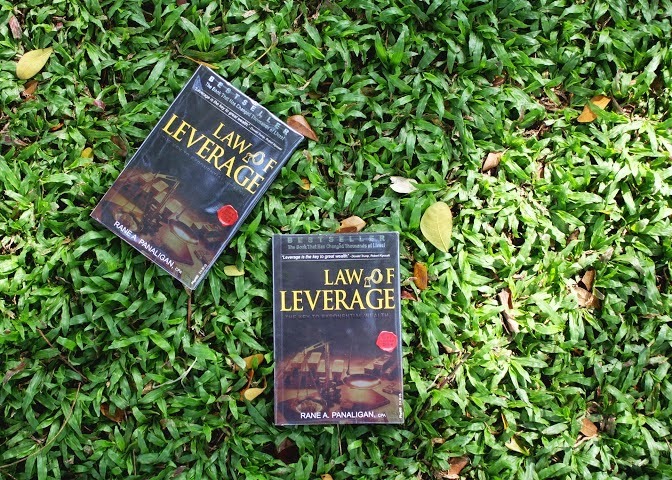 If you happen to go to a book store then make sure to drop by at the business and investment section and you’ll surely find the Law of Leverage book. SavingsPinay is also active in Twitter (@izzaglinofull) and Facebook (Izza Glino Full).